densest neuropile tissue of any animal. 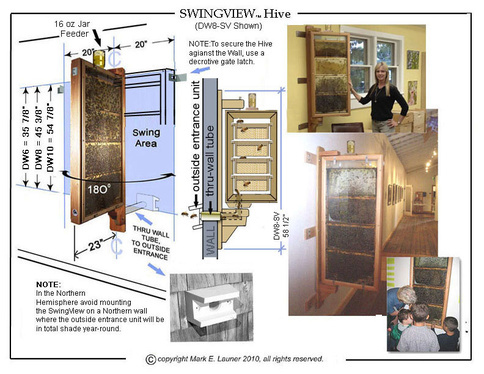 The SwingView is our most popular Hive. exterior wall. The Hive Case easily detaches from the Wall Plate for installing bees or servicing the hive outdoors. 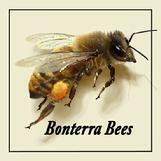 This is the best Observation Bee Hive for sale on the market today! The SwingViewTM observation hive includes a full-featured Hive Case with wall mount pivot plate, outside entrance unit and thru-wall pipe. The bees enter and exit through the lower part of the wall plate then through the wall to the outside entrance unit. the Hive Case from the Wall Plate by removing the upper pivot bolt, then remove the Case to the outdoors. All Models come with installation and hive management instructions. 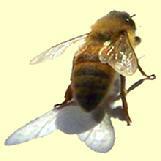 Note; 6 to 8 frames of bees, comb, and honey can 'bee' heavy. glass. Please purchase glass locally. For Public Exhibit Centers and areas with "out of control tonka trucks"
we recommend 3/16" or 1/4" Laminated safety glass. 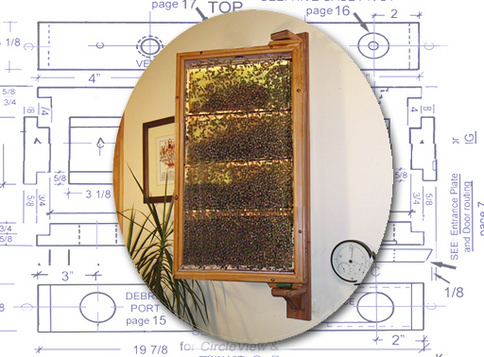 Simple installation instructions are included with the Hive Case, however, we strongly suggest that you take the glass frames to your local home improvement store or automotive glass vendor and have them install and seal the glass. allowing for assembly and order volume. All hive orders are shipped via UPS standard ground service. These Hive Cases are notched for Langstroth style deep and medium frames. We do not ship Hives internationally.